(Spring Valley) March 2 - If you weren't at Mount Miguel High School Tuesday night to see the host Matadors play the visiting Raiders of San Diego Southwest High School, you missed out on a real gem. This basketball game had virtually everything you could ask for in a playoff matchup: a packed gym, fans from both teams getting loud and crazy, frequent scoring runs and lead changes and both teams playing with the highest intensity. Unfortunately for the Raiders, intensity does not always translate to wins. Unable to connect on several potential game tying three-point shot attempts in the last minute, they come up short in a 51-48 loss to Mt. Miguel. The first half was tightly contested with seven lead changes and five ties. The Matadors took a 12-7 lead at the end of the first quarter on the strength of their rebounding and full court press. Bryant Mitchell and A.J. Stanford each scored four points to lead Mt. Miguel early on. Southwest came back with an impressive start to the second quarter when Asper Morris hit a three pointer and Maris Boldridge added a basket. The two scoring plays allowed the Raiders to tie the game at 12 less than two minutes into the quarter. Mt. 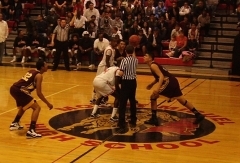 Miguel had trouble connecting on perimeter shots, while the Raiders made some steals and moved the ball up the court. With four lead changes and three ties, the tempo was more back-and-forth in the second quarter than any other time in the game. The Raiders' fast start mentioned earlier became a 14-4 run, which allowed them to take a 21-16 lead. Basketball is often about momentum changes and the Matadors sorely needed one in their favor. After their shooting went cold, they became more selective about the shots they took, but that plan backfired when they became too selective and turned the ball over on a shot clock violation. Combining that with a foul and the Raiders' recent run made momentum seem unattainable. But momentum is exactly what the Matadors found to close out the first half. Harry Brazelton scored five points, part of a 9-0 run that gave Mt. Miguel a 25-21 lead at intermission. The rally seemed to feed off itself as the home crowd became more vocal with every scoring play by their team, which in turn seemed more energized by their fans turning up the volume. The halftime break did nothing to slow down the Matadors in the third quarter as they picked up from where they left off, opening the quarter with a 13-6 scoring run. Mt. Miguel's defense forced turnovers while Brazelton continued scoring. 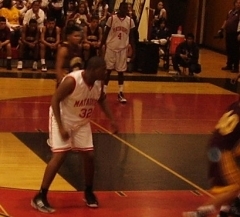 The rally extended the Matadors' lead to 11 points, 38-27 and would be their largest lead of the game. Southwest was not fazed by Mt. Miguel's recent surge. Morris scored two baskets while his teammate, Jay Santos sank three straight free throws after he was fouled while attempting a three-point shot. The 9-1 run made the score 39-36 at the end of the third quarter and had the fans on the edge of their seats more than any John Carpenter film could ever hope to. The Matadors took early control of the fourth quarter en route to a 46-39 lead, but the Raiders rallied back to close the gap to three at 48-45 with just over two minutes left. When Hazelton fouled out after committing a charging foul, it looked like Southwest was poised to at least tie the game, if not come back and win it. However, the Raiders were not able to get any closer as several three-point attempts failed to go through for them. With time running out, the Raiders were forced out of desperation to foul the Matadors. They would get no closer than three points as time finally expired, the home fans stormed the court and the Matadors had a hard-fought 51-48 win. "They came and played with a lot of heart and intensity, and we just had to come out and match their intensity because we knew they were going to come out and play hard," said Brazelton about Southwest. "We just fought through foul trouble," said Mt. Miguel head coach Jay Rowlett,"our best two offensive players were in foul trouble most of the game, so I think we had to step up. Yuel Hagos had a good game, Thomas Butler - we had a lot of people step up, that usually don't for us, but hey, we'll take it today." 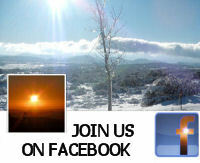 The win improves Mt. Miguel's record to 25-6, and is also historic. The Matadors will go to the CIF San Diego Section finals for the first time since 1975 to face the Vikings of La Jolla High School (19-10). Southwest's season ends with a solid 20-10 record.